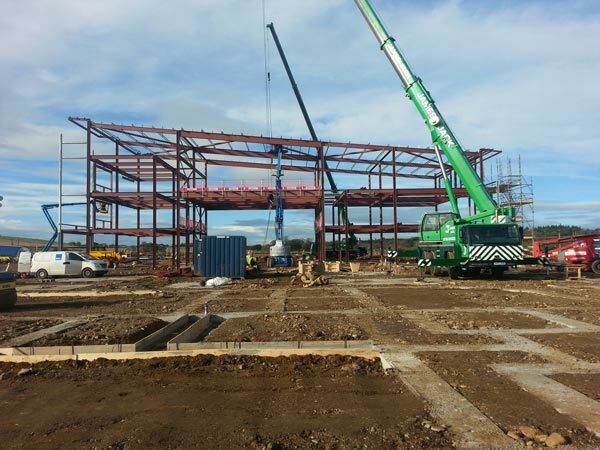 Work on the £36M Ellon Academy Community Campus in Aberdeenshire is progressing successfully; the steel erection programme has been completed and the project is on target for its 2015 opening. Steelwork contractor BHC has fabricated, supplied and erected 1,400t of structural steelwork for the project. The steel frame consists of a 1,200 capacity school accommodated within a three and four-storey building, a five-lane swimming pool as well as learning support and community facilities. The new school is a replacement for the existing Ellon Academy and the project is part of Aberdeenshire Council’s long term asset management strategy. The main contractor for the job is FMP.